This is how I felt when the Direct Sales company, I was so passionate about (so much so I “bought” into it) decided to close its doors in the UK. It felt like my world had fallen apart. Given my US ties and travel plans I know I shall buy products in the USA but it won’t be the same. The company is still amazing and will continue to flourish in the States but sometimes you just have to make a tough business call that will affect others, after 20 years in HR, I get it! However, I know so many other Independent Stylists won’t be in a position to be as pragmatic. In the world of fempreneurs and self-employment, some of my colleagues are not just losing some of their income they are losing all of it! The thought that these women whom I have bonded within a tribal, stronger together mentality are going to be disbanded saddens me. 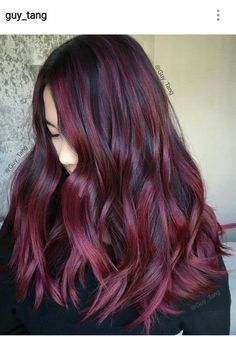 Now the vultures are circling and so I want to help my fellow Stylists and others who may be going through the same thing. Firstly you need to turn to your upline if you need to and your fellow company reps, they are going through what you are going through, they’re “grieving” too. Gain support from your small coaching or networking groups this isn’t the first time a company has withdrawn from a particular country. If you can afford not to, do NOT jump into a new company straight away. Some DS companies will give you notice that they are winding down the business so use this time wisely to sell off any inventory, if applicable, and maybe talk to your upline and fellow reps in the same boat and see what their plan is. Whatever you decide research is paramount as is the love of the product or service when searching for new alternatives. In a hurry to switch? What is the reach and online presence of the new company like, does it attract you? What will the company and potential upline do to support you? Is there training and online support tools? What is the commission structure and What are you likely to realistically earn? How many reps are already in your area? What targets, if any, do you have to reach? Ask your existing customer base for their thoughts on certain brands you’re considering. 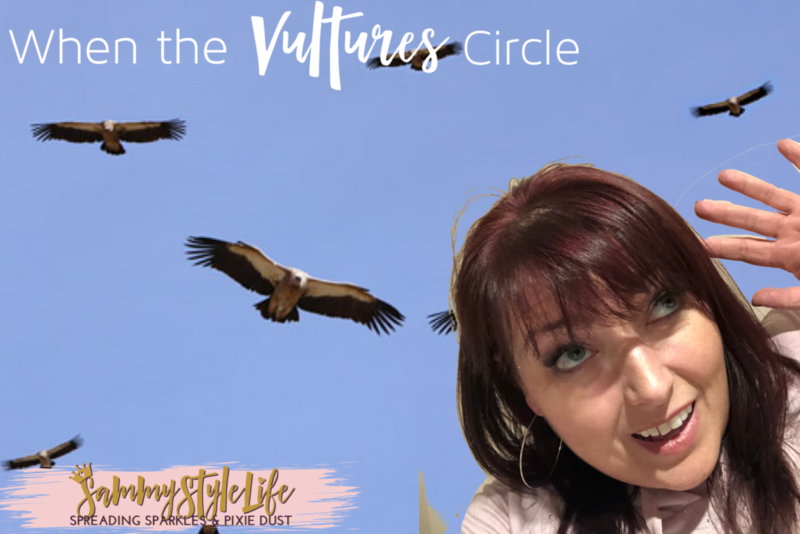 This is a great time for an engagement post if you have a VIP FB Group. Your customers have become vested in you and they’re also your target client so it would be good to know what Direct Sales products they are interested in. It also shows your customers you care about their opinion and they may want to help. Be strong where spammers are concerned because you will be spammed. These approaches will be made by other Direct Sellers you’ve probably never previously spoken to. They’ve seen the news and they have actively been searching social media accounts so they can swoop in like vultures. These people are NOT your people. 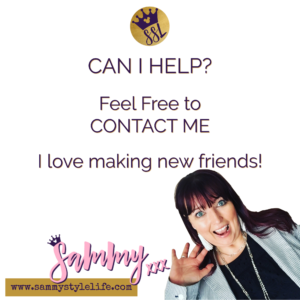 These types of contacts are not authentic, so why on earth would you want them as your upline? Recruiting this way is insensitive. Although I would say it’s ballsy, it’s these approaches that give the world of Direct Sales a bad name. Mindset is everything. Whilst I know you’ve likely just seen that flexible income disappear, it’s important to still remain professional. If you do decide to go to a new Direct Sales company, how you have behaved in the midst of this closure will be seen by a vast audience including your existing and potential customer base. For those of you affected by a recent closure, stay focused on what you want to achieve and go for it! Everyone else will follow. 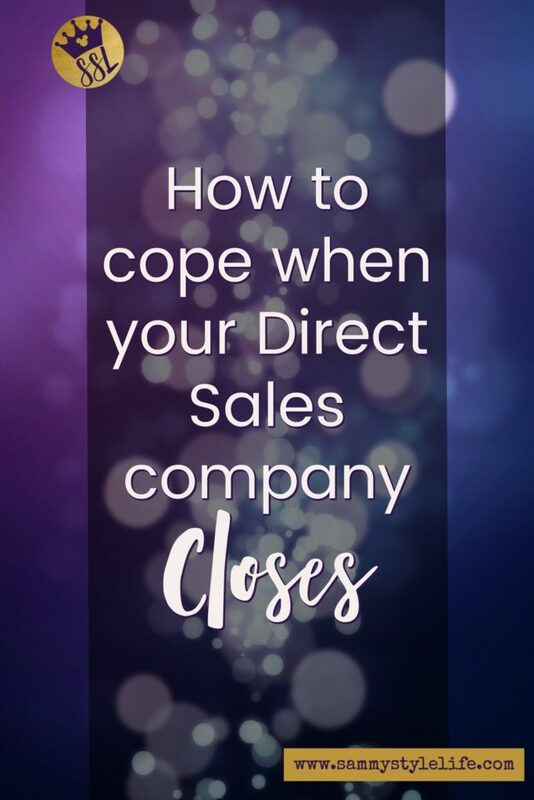 Have you been affected by a recent Direct Sales business closure? I’d love to hear how you’re doing and if you need any further support. Botanical accessories are a huge fashion trend this Spring right through to Autumn 2018. 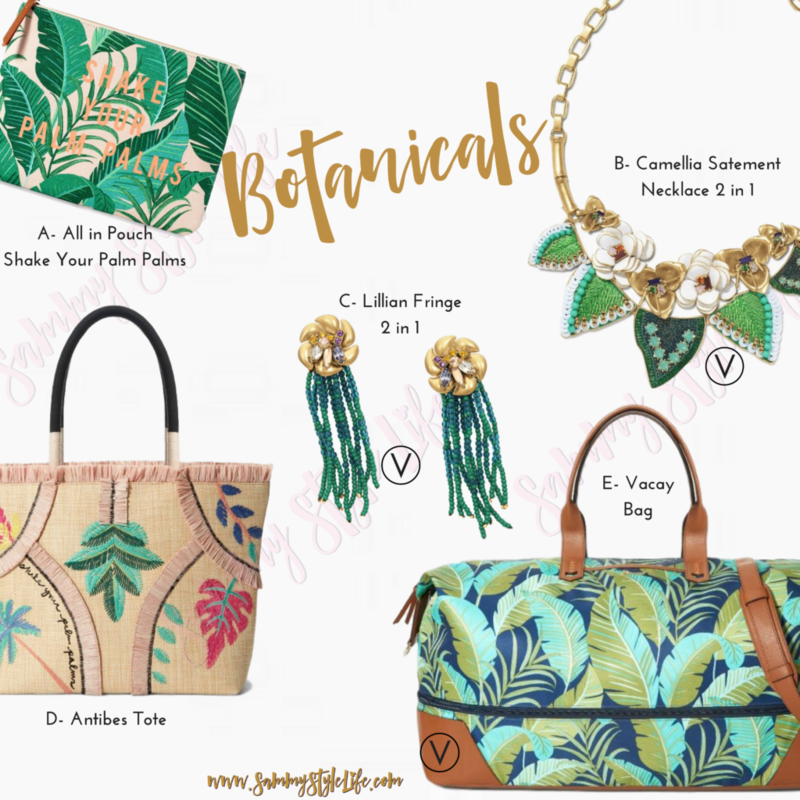 Stella and Dot’a recently launched collection embrace this tropical and botanical trend. Travel is the goal and nothing says Summer Holidays than hand luggage screaming palm leaves. The “Vacay Bag” is fully versatile extending from 14″ to just under 17″ when you need the extra room, like at the airport! The matching All In Pouch is perfect for storing all your flight and travel documents. It also has a couple of pockets inside to hold credit cards. Heading to the pool or beach then the Antibes Tote will carry all your sunny needs. This hand embroidered raffia bag will even hold a laptop but who wants to work on a holiday! Fill it instead with books, sunscreen, magazines, tablets etc. it even has a zip to keep everything secure! 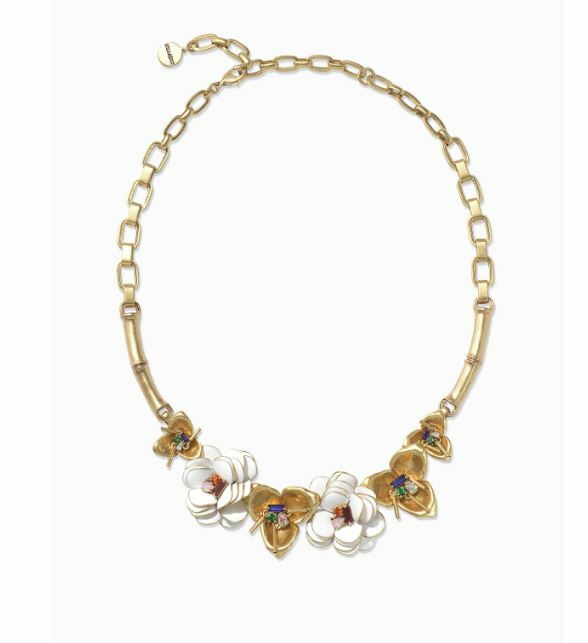 You can offset the statement necklace with more versatility. The Lillian Fringe Earrings can be worn two ways, with or without the tassels. Stella and Dot are renowned for designing Versatile pieces. Your money goes a long way when pieces can be worn more than one way. 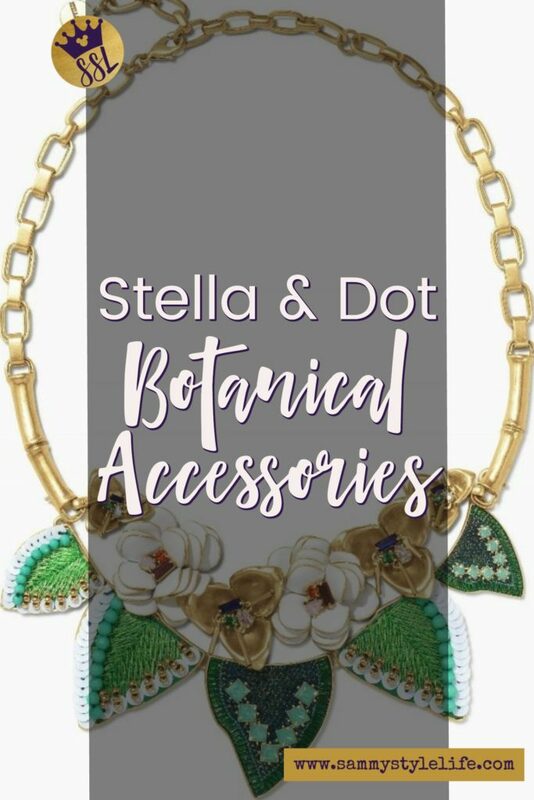 If you would like more information on these gorgeous Botanical Accessories then head over to my online Shopping Site here or if you’d like to discuss earning these items FREE in your own Style Session then please do contact me. With so many bracelets and cuffs available it’s fun to be able to wear some of them all at once. 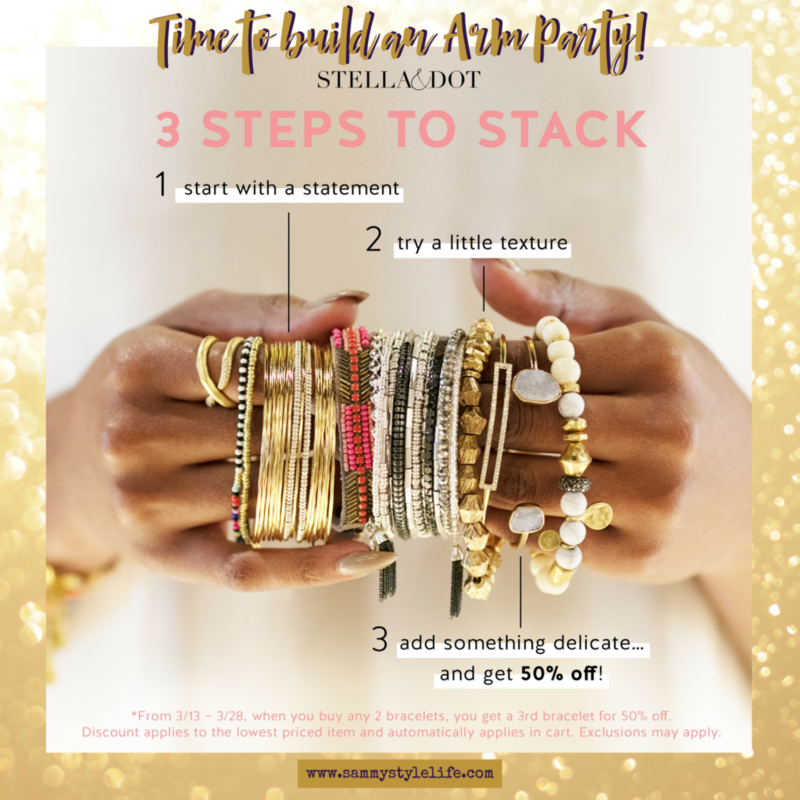 Stella and Dot recommend doing just that and I’m going to show you how to stack an Arm Party! 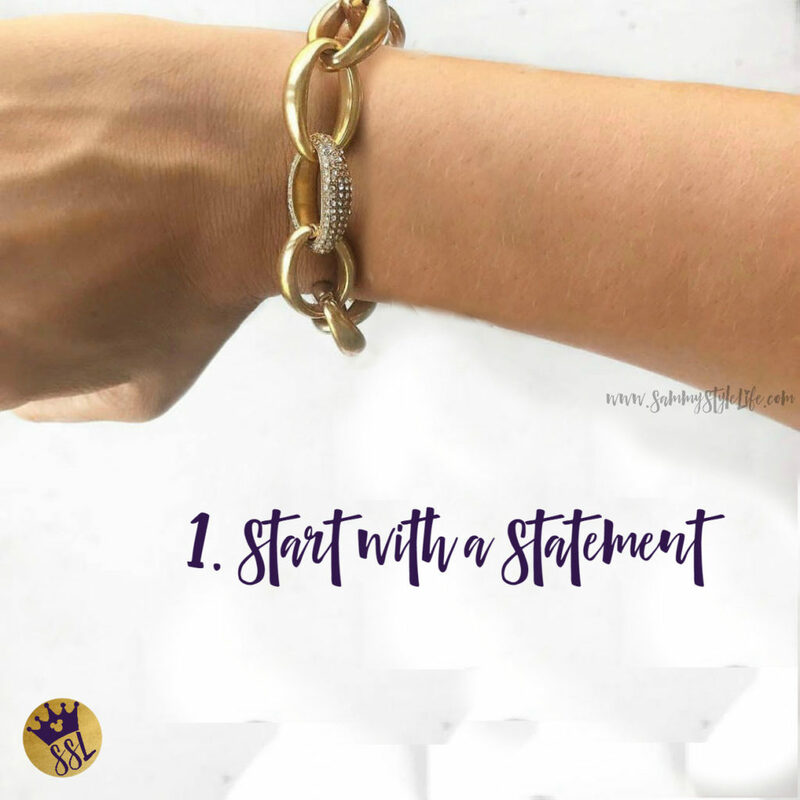 The first thing you want to do is take your statement piece! Then, and I’ll be honest you can do this either way but I like to load on next a Delicate.. In this example the Arm Party has been tapered up with Statement closest to the hand but you can taper down if you want. There’s no right or wrong and there are a plethora of ways to stack an arm party. 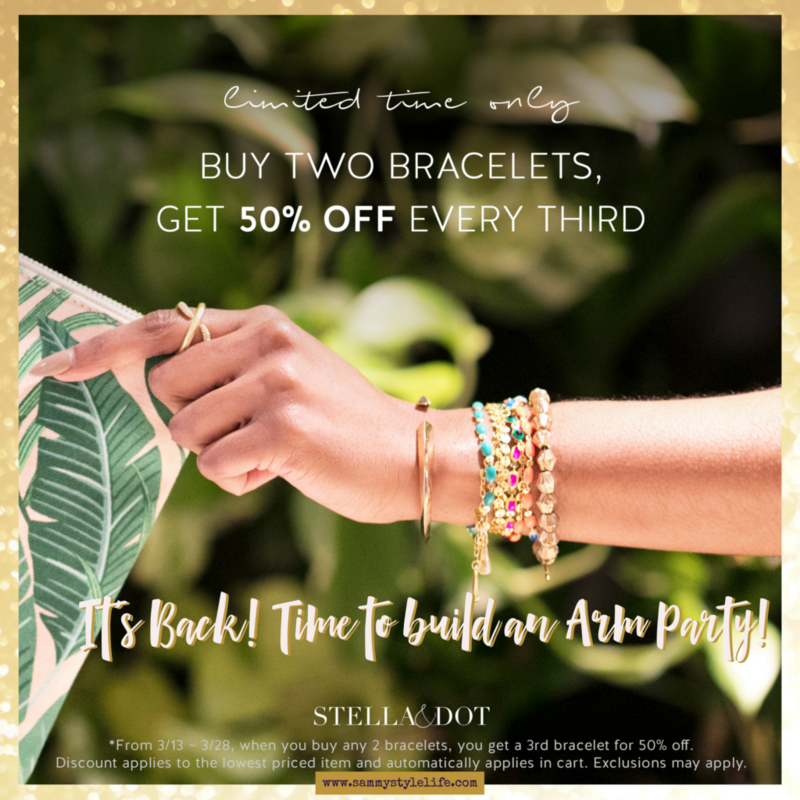 Right now Stella and Dot are running a fabbo promo! Buy any 2 bracelets and you’ll get your 3rd for 50% off! There’ll be some exclusions so definitely check the website for those. Click here to take you to my UK and USA Style Sessions! 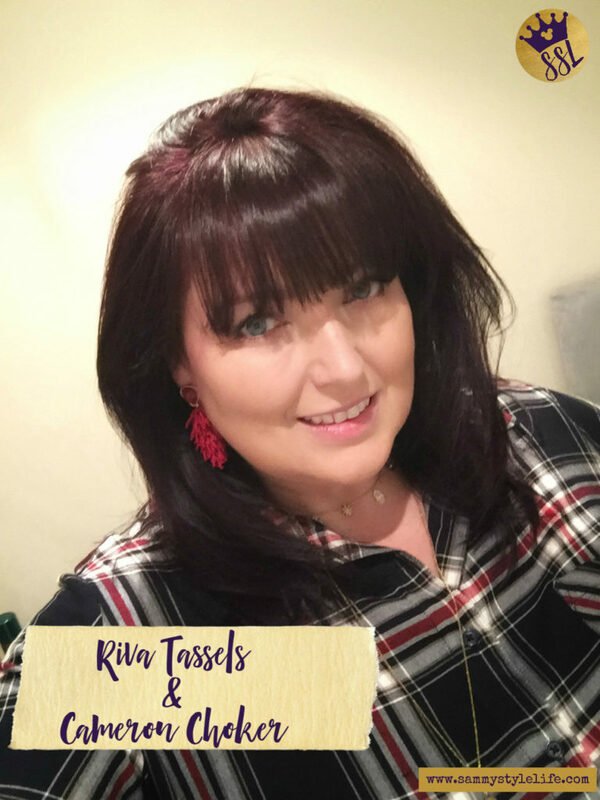 Tassel Earrings – how to wear them! 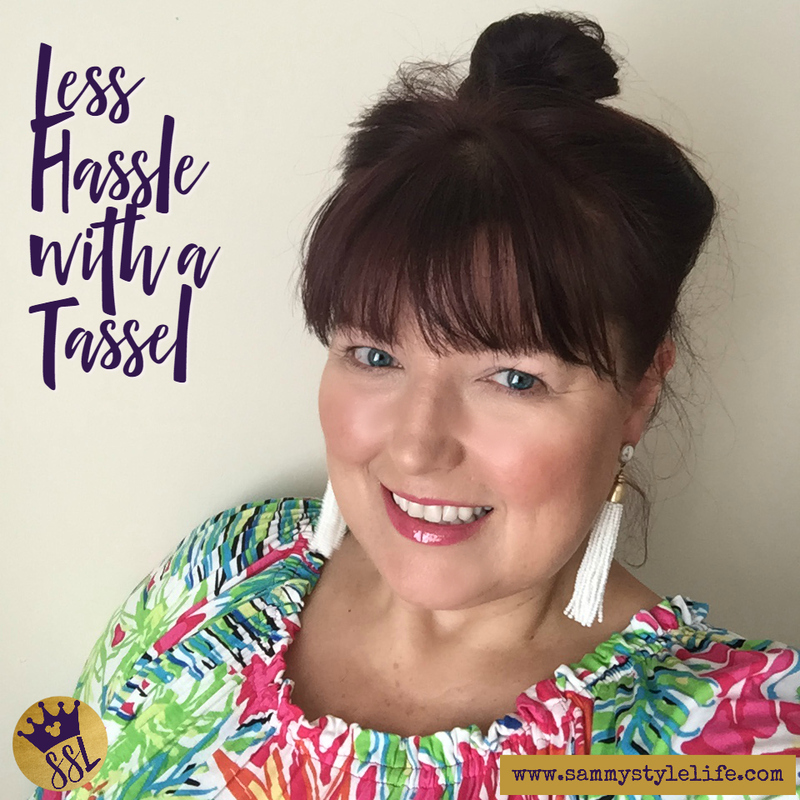 I’m always looking for different ways to wear my tassel earrings because I have so many, it’s a sickness! A year ago I don’t think I even owned a pair but now I do I want to share how to wear them! 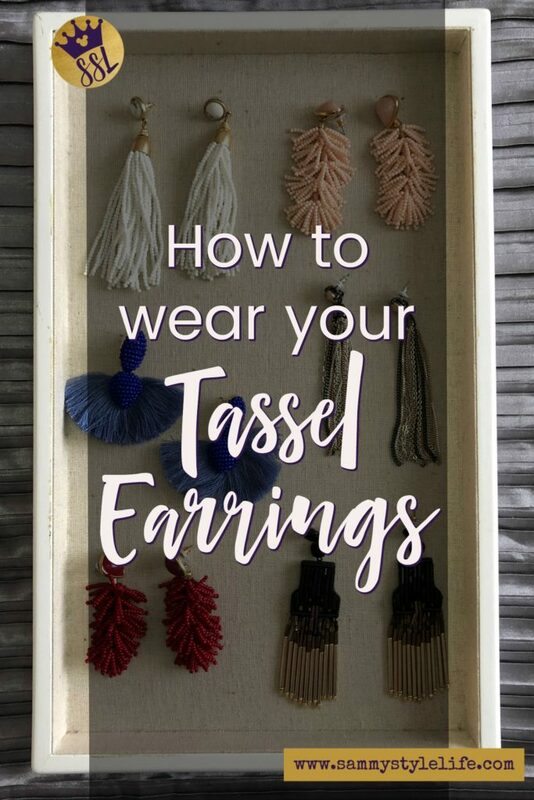 Tassel earrings are an on-trend style of statement earrings, but do you feel you don’t know how to wear your tassel Earrings? When should I wear Tassel Earrings? Could I pull the Tassel earrings look off? 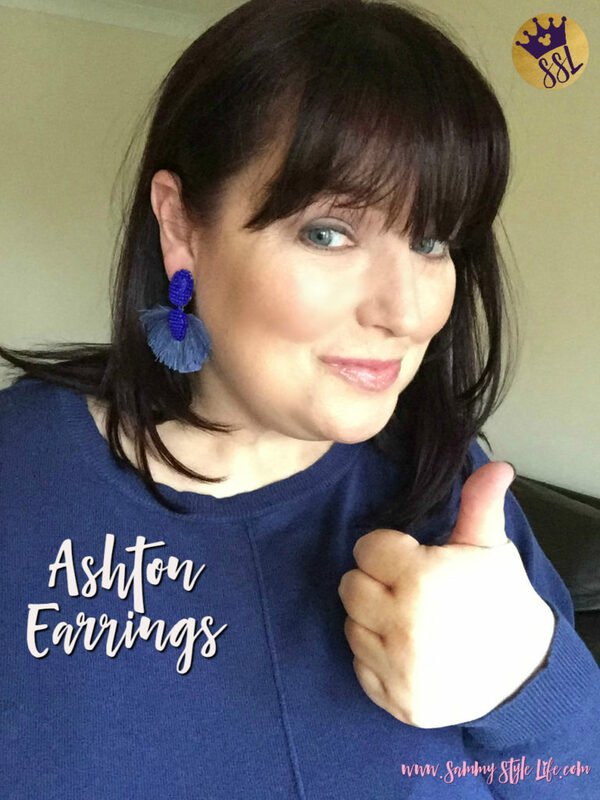 What other jewellery should I wear with Tassel Earrings? You can wear tassel earrings anytime! Tassel earrings are so on-trend right now, there are so many styles around with many styles taking you from day to night. There’s no rules here ladies. Tassels with a jumper and a pair of jeans make for a great daytime casual look. Can you pull the tassel earring look off? Of course, you can! Anyone can wear tassel earrings, doesn’t matter if you’re a teenager or further advanced in years. There is a tassel earring out there for you, whether you have long hair or short hair. REMEMBER – Don’t be afraid to set your own Style, if you like it, wear it!! There is no right or wrong, it should be more about how does that pair of earrings make you feel? Good? Well then wear your tassels with confidence. Tassel earrings are impactful in their own right meaning you don’t have to match them up to a necklace. They look great adorning your face on their own and so make what we call great ear-candy. These Gita Tassels are one of the most versatile pieces in that they go with so many outfits and you can see no other jewellery required. What if I want to wear a necklace? Go for it! I would suggest sticking to a delicate piece and Stella and Dot have a few of those in their collection. Use the metal accents in the tassels to choose whether you go for gold or silver. I chose the Cameron Choker to go with my Riva Tassels. These Rivas can also be worn as just a stud… versatility! Don’t forget to read the article Where to shop Stella and Dot to see the different ways I can bring style to your door! Sunday 11th March is fast approaching, do need some Mother’s Day gift ideas? 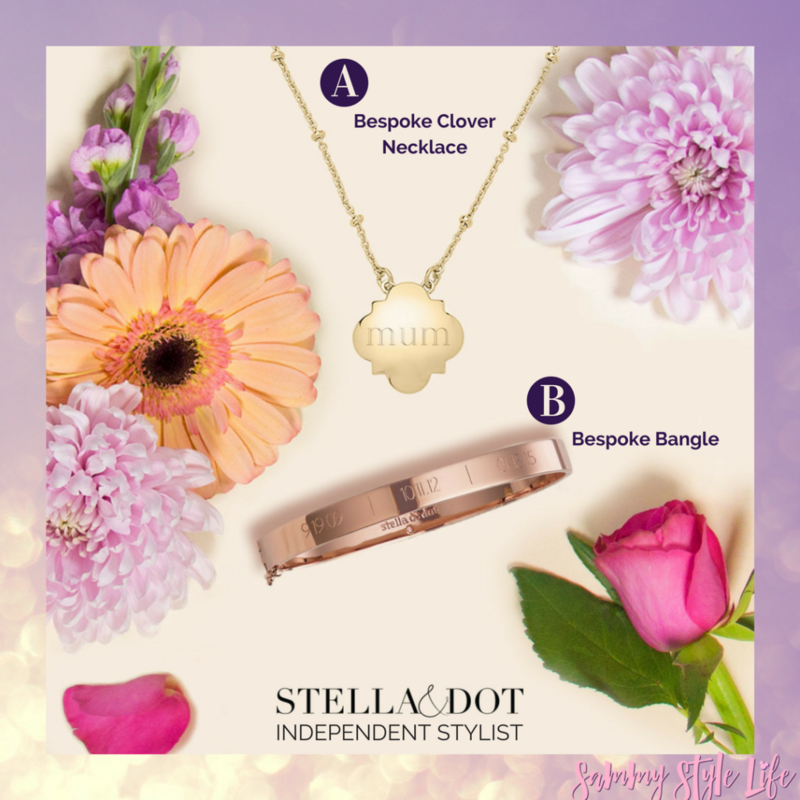 Then Stella and Dot can help you shop check out these perfect Mother’s Day gift ideas! This gorgeous gold finish necklace which, depending on the style font, can take up to 5 letters. Pictured in Rose Gold finish it also comes in Shiny Gold or Silver. You can up to 45 characters, depending on which style font you decide on. 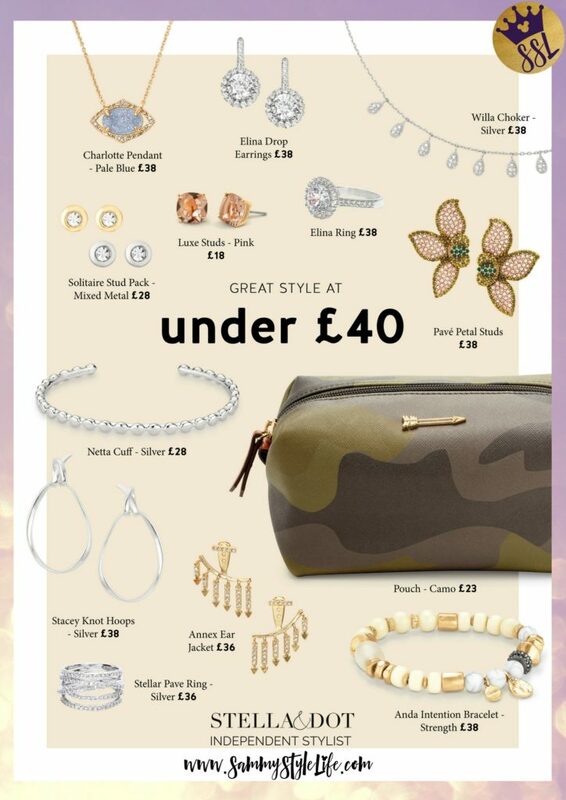 This image speaks for itself really but half the range of Stella and Dot is under £40. Incredible style doesn’t need to break the bank! The Elina Drop earrings are exquisite and the Cubic Zirconia sparkles aplenty. You could add the Elina Ring for a perfect gift set. The Anda Intention bracelet symbolises strength to bring energy into everything you do. The Anda is made up of glass, vintage gold and earthy neutral beads. Ask me about the Anda Courage bracelet too! Mum’s are special and sometimes we really want to spoil them. Stella and Dot offer their Covet range of pieces. Covet pieces are made with 14k gold and conflict-free hand-set diamonds. Mum’s initial is a great Mother’s Day gift idea. If you like these ideas but want help in what to purchase then please do contact me. I love assisting others in seeking out the perfect Mother’s Day gift. 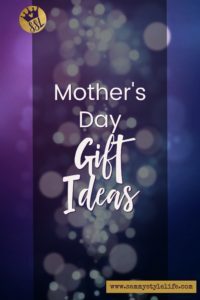 Mother’s Day is March 11th, 2018 in the United Kingdom, so you don’t have long! Unless you’ve been living under a rock whilst visiting my blog you’ll know one of my passions is styling with Stella and Dot. 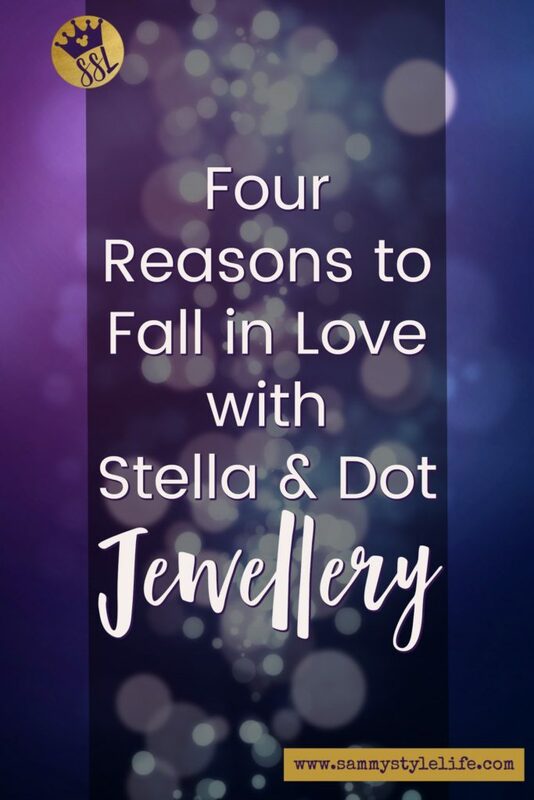 There are many reasons to fall in love with Stella & Dot Jewellery, let me share mine with you. Why I fell in love with Stella & Dot Jewellery! I open the Lookbook and I am immediately drawn to all of it. The designs pull me in and I think, if I could, I would own 90% of it. Stella and Dot’s team is made up of designers who have worked for other luxury brands e.g. Marc Jacobs, Kate Spade and Coach. More recently Stella and Dot have collaborated with Rebecca Minkoff! I can’t believe this on-trend, edgy fashion designer is working with Stella and Dot. Never did I think it possible to be wearing “designer” jewellery, but I am! Hmmm! Value is so subjective, right? I could walk into Marks and Spencer, Evans, Accessorize and other clothing and accessory retailers and certainly buy cheaper costume jewellery, fact! However, I am a firm believer in “you get what you pay for”. There is a lot of detail and work that goes into each piece of Stella and Dot jewellery, stick around here and you’ll get to learn that. 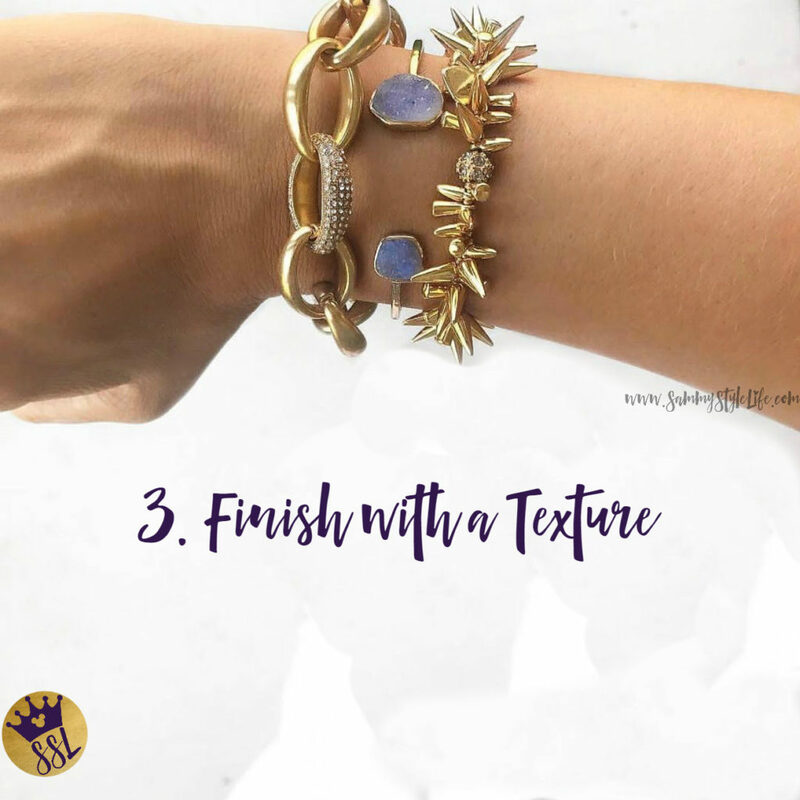 A third of Stella and Dot’s collection is versatile. This has to be my number one reason for loving the jewellery. 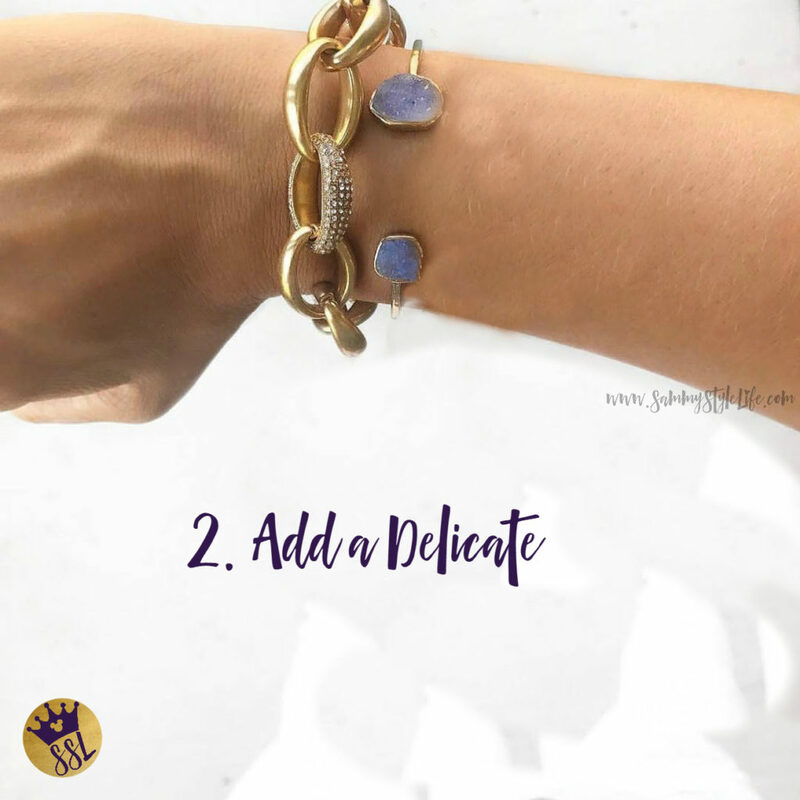 A piece of jewellery which can be worn, 3, 5, 7 or more ways is a game changer for me. Versatile pieces give great value to their “Cost per Wear” (CPW). The big plus is people think you have an extensive range of jewellery but you could have one necklace that looks different because you can wear it 5 different ways! It means not everyone is wearing the same jewellery, we all want to stand out and you’ll get more compliments when you do! 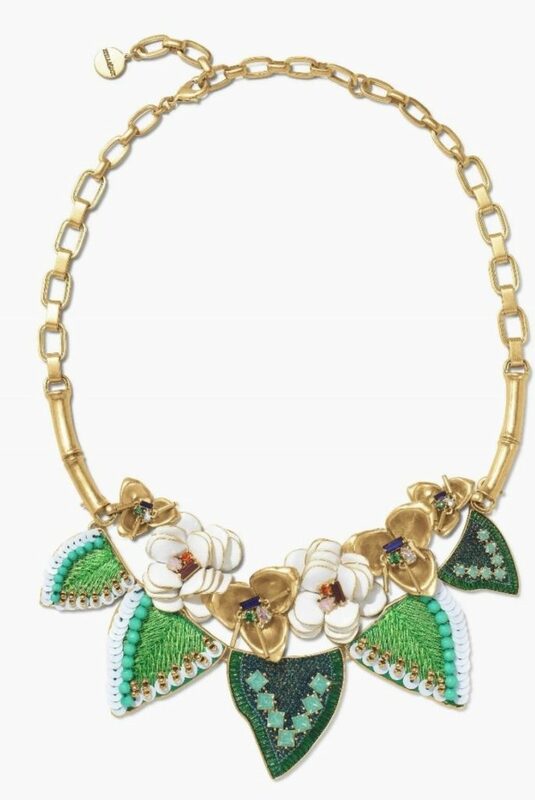 Stella and Dot releases new seasonal limited pieces monthly. I get to be on-trend at 48 years old and I don’t even realise it. Hey, but don’t just take my word for it let me show you! 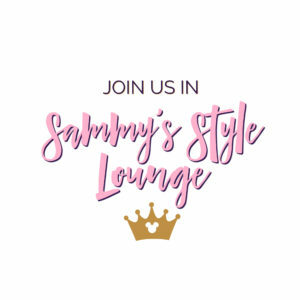 Come like and follow my Sammy Style Life FB Business Page here to see some of the range in detail and have fun! WOULD YOU LIKE to see A STELLA & DOT LOOK BOOK? Thanks, I'll get that out to you soonest!